The SD2SNES is a Super Nintendo / Super Famicom cartridge that plays games from an SD card, referred to as a “ROM cart”. It’s compatible with a large number of games, supports instant load times and includes support for “MSU-1 audio”. I bought mine from Stone Age Gamer. 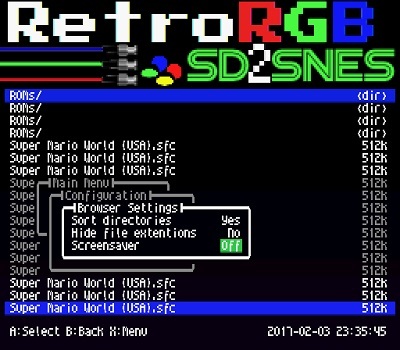 The SD2SNES supports something called “MSU-1 Audio”, which stands for ” Media Streaming Unit revision 1″. 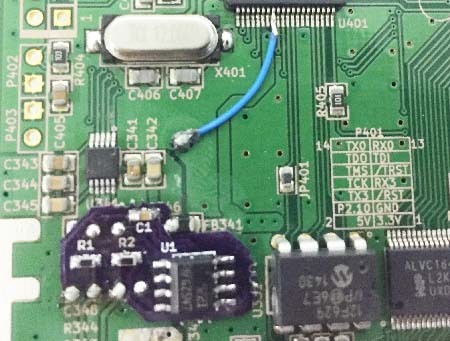 It’s a homemade “enhancement chip” made by byuu, that allows for CD-quality audio on a SNES. A good way to think of it is like this: Remember the SegaCD? The graphics were the same as the Genesis, but the music played directly off the CD allowing for the music to be extremely high quality. Also, the extra storage space of a CD allowed for FMV playback, within the restraints of the Genesis’ processing power. Well, this is essentially the exact same thing, but for the SNES and only for patched roms. While no physical MSU-1 chip was ever created, the code was integrated into a few emulators, as well as the SD2SNES, allowing full CD-quality audio through real SNES hardware!!! All revisions of the SD2SNES starting with “H” and later already have a great-sounding audio circuit. If you have Rev.H or newer, you can skip this section. If your version is older, there’s actually a modification you can perform to improve the output. Please scroll down for more info. This mod replaces the passive filter between the DAC and the SNES’ analog mixer with with the better circuit from the Rev. H (and newer) that includes a unity gain opamp in order to fix the impedance mismatch that caused muffled and quiet audio in older revisions. Basically, it’s more of a “fix” then an “upgrade”, meant to eliminate the need for boosted audio files (clipping), firmware audio boost in the menu (clipping), and the Rev. G 5V mod (distortion). This finally standardizes the correct MSU-1 audio levels between real hardware and emulators. Which MSU-1 ROM’s to Use? 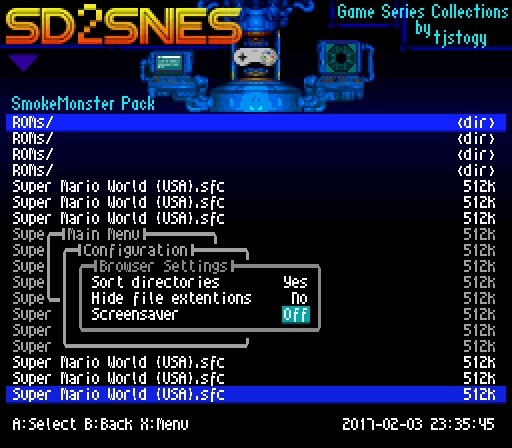 You can get lots of MSU-1 patches for SNES roms at http://www.romhacking.net/. 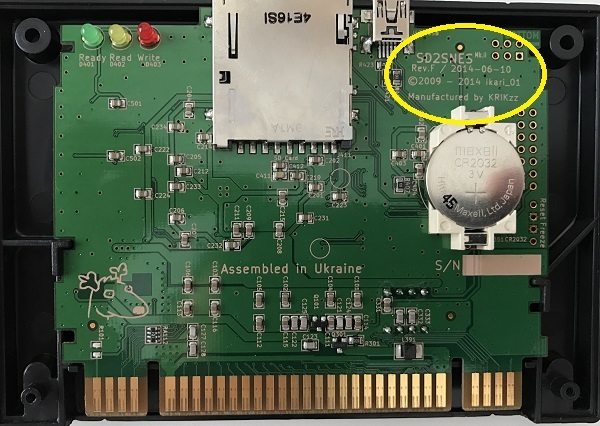 A much better way to get the roms is to google “smokemonster msu” and follow the links in the forum (free registration required) to get the “new” patches that are designed for the H rev boards. The SD2SNES is an open-source project and can be made by anyone. That being said, there are a few low-quality clones out there with problems that range from gitchy use, to no MSU audio, to it not working at all. I strongly recommend you only purchase an SD2SNES from a reputable reseller, such as Stone Age Gamer. One funny thing about the clones I’ve seen – Even though they were made in China, they still say “manufactured by KRIKzz” and “assembled in Ukraine”. That’s it for now! Check out the main ROM cart page for more info on all the ROM Cart’s available for each console.